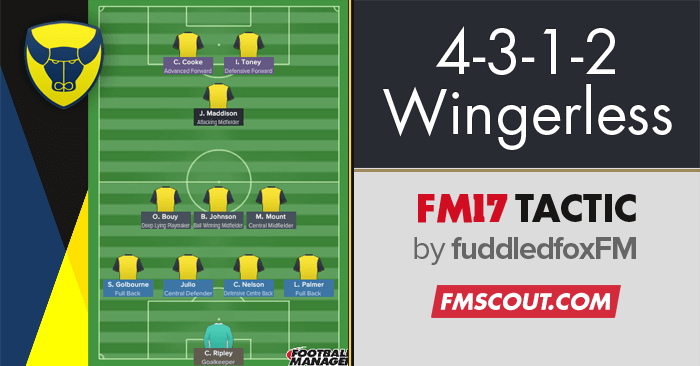 This FM 2017 tactic aims to dominate the central areas using short patient passing to open teams up. Tested with Oxford United. I took over at Oxford Utd at the start of the third season after they had been relegated to League 2. Expectations was to win the league but after a poor start using various formations I adapted this from a 4-4-2 diamond I had used in previous season when I was at Eastleigh. After changing to this in mid November we went on to win the league comfortably. In my 2nd season in charge we won League 1 with 100 pts after having a pre season prediction of 12th. You want players with good passing, technique and vision for the level you are playing.You need players that can unlock the opposition's defense as this tactic relies on shorter passing to break teams down. You also want strikers with good anticipation and off the ball to get themselves into dangerous position in and around the opponents box. I tend to have more possession than the opposition using shorter passing and a patient control style of play. BWM defend. Look for attributes highlighted in game but some passing and vision would be good as well. AM attack. This role plays like a cross between a shadow striker and a playmaker. Look for good ST attributes but also passing and vision. 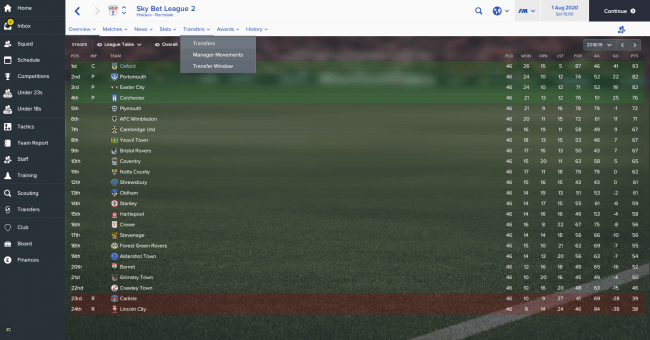 If like me your in the lower leagues and players are more limited look more for ST attributes. I set all wide players to be shown onto there weaker foot. All centre backs should be closed down more to force them to play longer potentially giving the ball away easier. 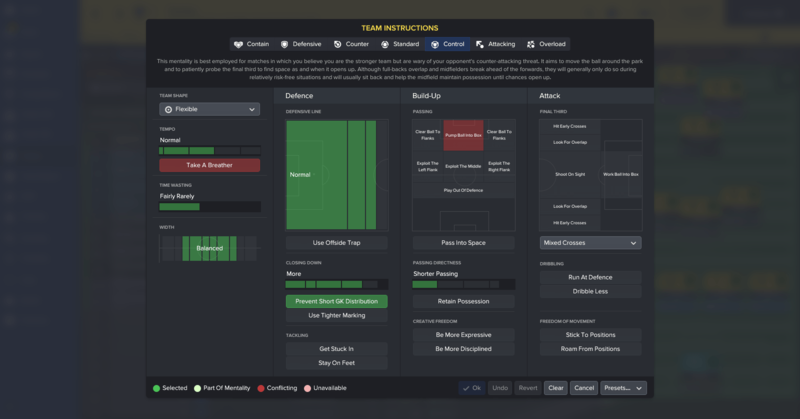 I also close down more any creative/attacking DM, CM or AMC I don't close down (I have more closing down as a team instruction so they will get closed down a bit) more defensive style DM or CM players e.g. ball winning mids as i'm happy for there less creative players to have the ball. To see this formation in action check out my YouTube channel. Looks good. Might try this. What about in season training? Att Movement or Def Positioning? Balanced etc? Handcrafted in Symi, Hellas. Page created in 0.135 seconds.